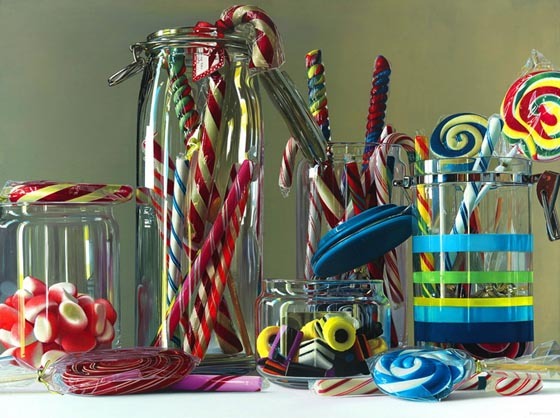 Most of us would be content with a simple digital camera, but not Bernardi, the photo-realistic still life painter from Italy, who can realistically recreate things around him with his oil work. 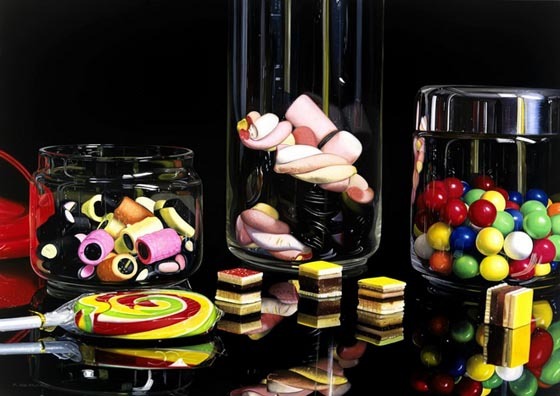 The most amazing part of Bernardi’s work is his ability to elevate the mundane to the fantastical through intricate attention to detail, giving “weight and depth to translucent objects, creating drama in the overlapping forms and infinite reflections that they create. 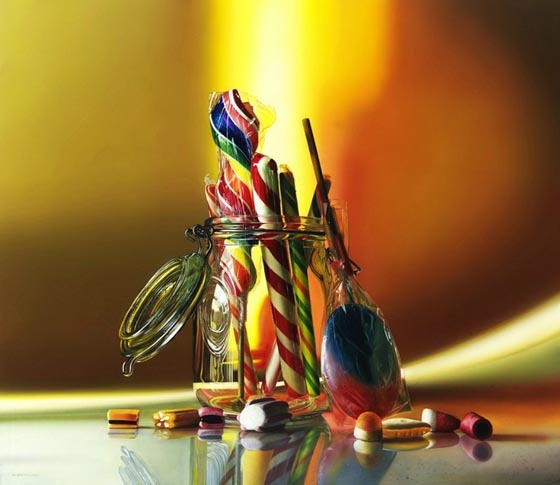 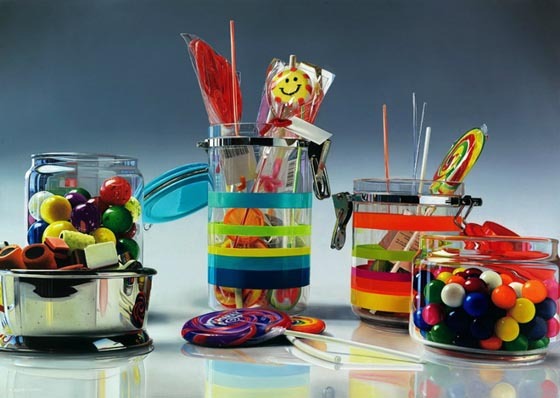 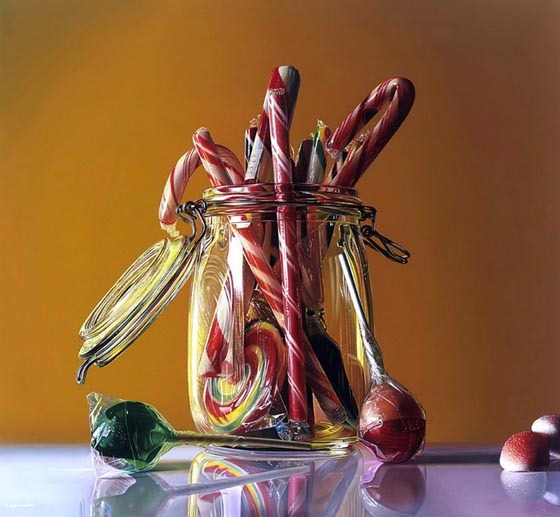 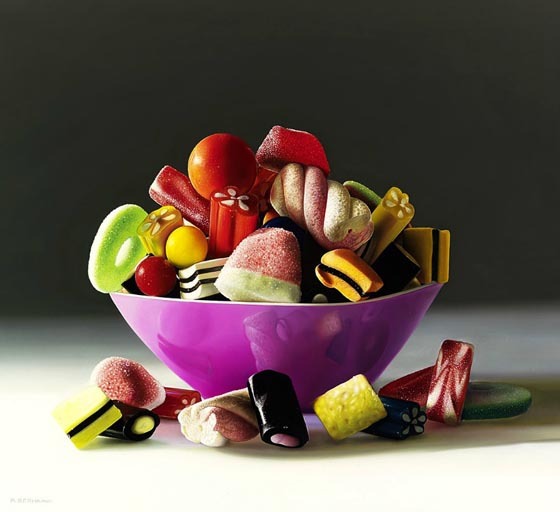 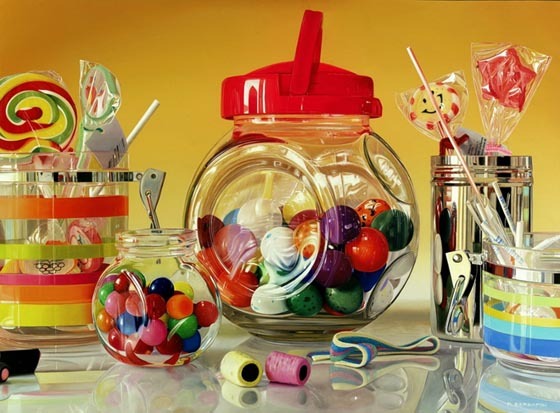 You can find many great works from Bernardi’s online gallery, and below is our favorite series – candy.